-boutique presents its range of induction frying pans conveying both comfort of use and durability to help you nail steaks, grill ribs, omelette, scrambled eggs, simmered dishes or small pancakes garnished with fresh cream and smoked salmon. Equip your kitchen with special induction range utensils for quick cooking and easy maintenance. 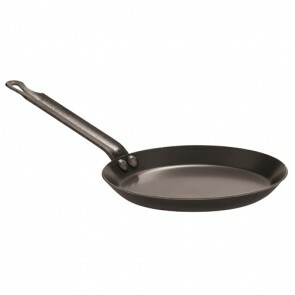 The induction frying pan: an efficient and versatile cooking equipment to complement your kitchen cookware! Grill, sear, brown, simmer or steam with a minimum of fat by cooking equipment regardless of the cooking method you recommend. One of the many advantages of induction stove cooking is undoubtedly the heating speed of temperature rise. Ideal for searing and sauteing meat and obtaining chicken with crispy, golden skin. How to choose your induction skillet ? For a container to be compatible with your induction stovetop, it must contain a percentage of iron since induction cooking involves the creation of an electromagnetic field. To ensure induction compatibility, simply check the presence of the induction sign (small spring) under your set of induction cookware. Alternatively, you can also use the magnet test: if the magnet clings to your kitchen utensils, they are induction friendly and can be used on your induction countertop. Electrically conductive material known to be induction compatible and often used for the manufacture of cookware utensils include stainless steel, cast iron, cast aluminium, and iron. Materials such as copper, aluminium or even anodized aluminium are not appropriate to be used on Choose an iron cooking vessel to take advantage of its natural nonstick properties. 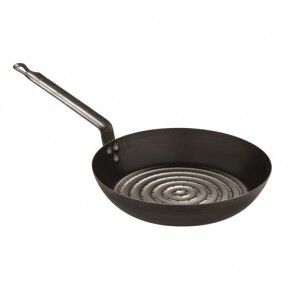 Iron is also a very good heat conductor; hence perfect for a sauté pan for your next stir fry noodles. 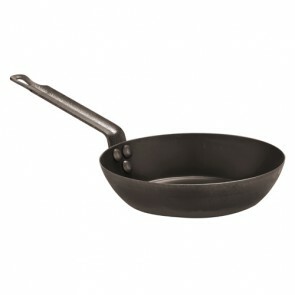 Iron is also a perfect material for the manufacture of a wok or a pancake pan. 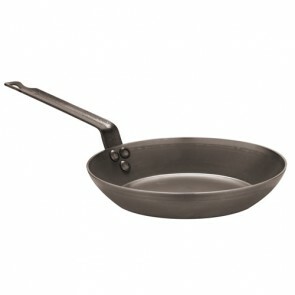 For your simmered dish rather go for a cast iron frypan. 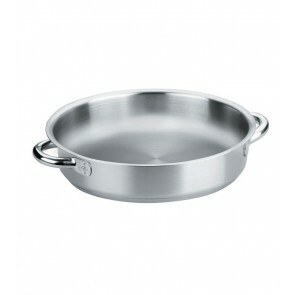 Stainless steel pans and pots are unrivalled in terms of durability. On the other hand, it has rather weak anti-adhesive properties compared to iron, so be careful to use some fat when cooking your omelettes and pancakes in a stainless steel fry pan to ensure they don’t stick. Stainless steel cookware, iron cookware, large frying pans or small frying pans, paella frying pan, iron skillet: find special ergonomic induction cooktop kitchen items of professional quality on Az boutique! Are you looking for induction compatible cooking utensils or all-round compatible cooking utensils including induction with a perfect price and performance balance? Find our range of special induction and easy-to-clean utensils: including among others stainless steel frying pan, grill pans, skillet, induction stir-fry pan, saute pan, cast iron casserole and stainless-steel pots and pans. 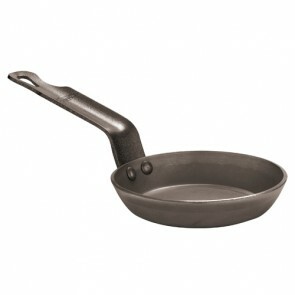 You will find a broad range of Pfoa-free frying pans of all size fitted to your specific needs whether you are cooking for large batches or one pot meals. With their bold look they can even be used to present a casserole dish on your tabletop. For quick cooking and to avoid spills also find discover our range of heat and shatter resistant lid. 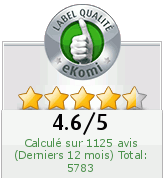 Our all-stainless steel frying pans with stainless steel handles are perfectly ovensafe. Enhance your cookware set and find the perfect induction compatible pan set on AZ-boutique your kitchenware and bakeware online store! 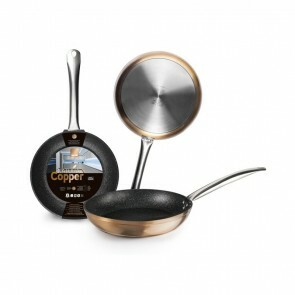 Copper fry pan 16cm / 6.2"
Copper fry pan 18cm / 7"
Copper fry pan 20cm / 7.8"
Copper fry pan 22cm / 8.6"
Copper fry pan 24cm / 9.4"
Copper fry pan 26cm / 10"